Palm Pre Hacked to 1Ghz! You thought Palm Pre was dead? Well, it’s not and it can be indeed overclocked to 1Ghz plus it’s pretty darn simple to do using Preware. Of course, we can’t wait till Palm Pre 2 is announced (hopefully next year) with a 1.4Ghz processor and a better form factor. Palm Pre Hacks – How to Install Verizon’s Mobile Hotspot on your Palm Pre! For those of you who want turn your Palm Pre into a wireless router/hotspot, I told you how to do it before but I found a better way to do it, install Verizon’s mobile hotspot app on your Palm Pre. This is also supposed to work on all Palm WebOS products including Palm Pre, Palm Pixi, Palm Pre Plus, and Palm Pixi Plus. HP Hurricane Tablet Coming with WebOS, I think it will Be Successful! Over at my Palm Pre Hacks blog, I outlined some of the highlights of WebOS, which is the OS that powers the Palm Pre and why I think HP has actually made a smart move of killing their HP Slate tablet product, replacing it with WebOS. Adobe rep wouldn’t let me take a video of it but the above screenshot is all I was able to get but you should expect it very soon, maybe a week or two. Nexus One Video vs. Palm Pre Video! Recently, as you know, I got the Google Nexus One, meaning now I have two smartphones along with my Palm Pre. Well, I’ve come to realize that it’s good to have the best of both worlds, let me give you a bit of comparison test between the Nexus One’s video versus Palm Pre’s video. First, the Nexus One excels in video with much higher resolution at 5 megapixels and comes with two microphones to enable noise-suppression technology, meaning you can record the voice much better in noisy environments. Palm Pre Plus Coming to AT&T! 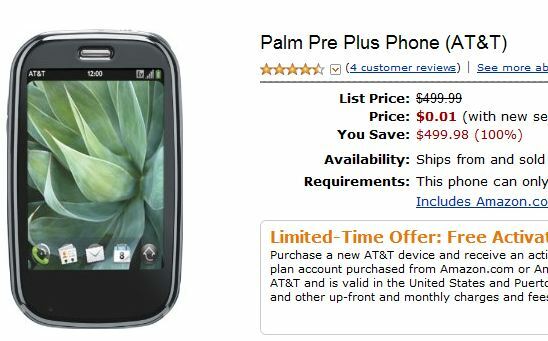 Well, there you have it, after couple days of Nexus One being available for AT&T, Palm’s Pre Plus is also coming to AT&T. 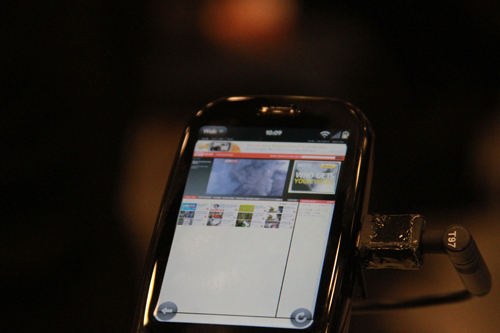 Palm Pre WebOS 1.4 Rocks – Video Enabled! Palm Pre WebOS 1.4 update brings you video to the Palm Pres out there. It works rather flawless I guess and I might have to try taking more videos with it soon. What I like most is that the Palm Pre’s 3G connection is so fast and you can upload your video directly to YouTube pretty darn fast. PHP Hack – How to Detect iPhone, iPod, Andoird, Palm Pre Browsers! One of our readers Titus just alerted me that Zedomax.com on smartphone browsers such as his iPhone will cause our e-mail newsletter lightbox to appear and make it almost impossible to get rid of. 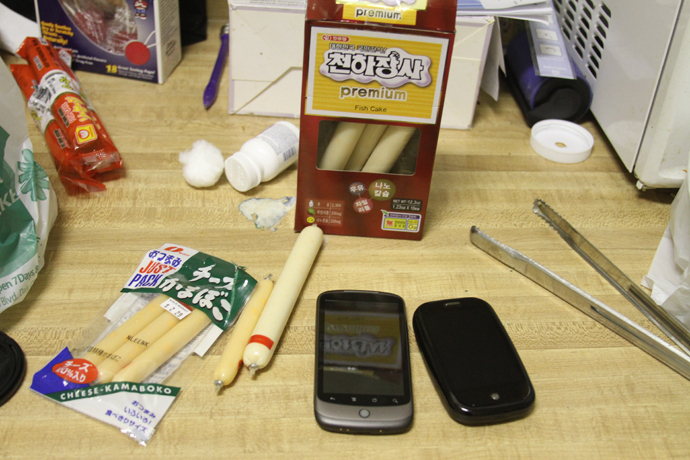 Sausage DIY – Korean Sausage Works Well as iPhone Stylus! Yesterday I read on Kottke.org that South Koreans have been using Korean sausages as iPhone stylus and sausage sales in Korea has gone up tremendously. You know it’s below freezing in Korea right now and snowing everywhere. People didn’t want to take their gloves off and figured out sausages can substitute their fingers well.